Sonically, Orbit Thorns is decisively not barbed. 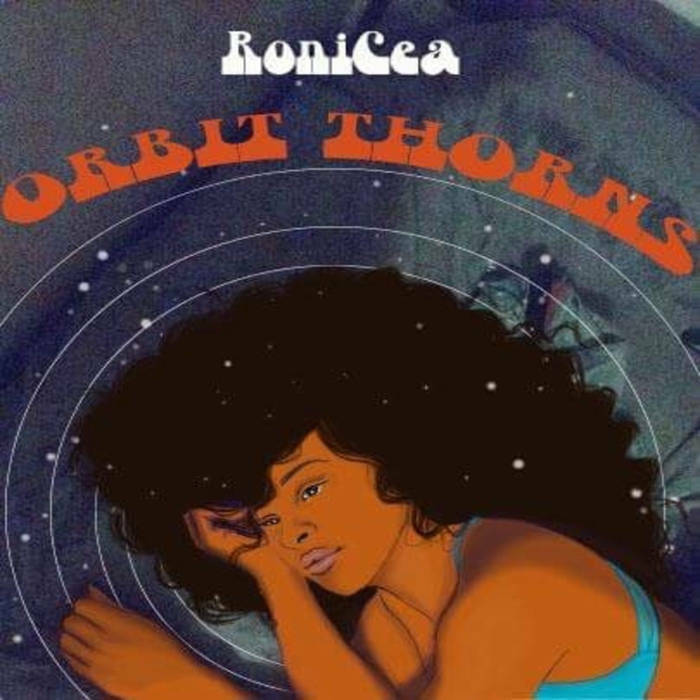 Throughout, RoniCea’s voice is her own soothing balm while her beats are rounded and soulful, it is lo-fi hop-hop for your own galactic explorations. The keys at the start of “Coulda Neva/Death Jewels” glisten warmly like stars do on a summer’s night and the thick bass line of (the suitably titled) “Bassline” is simply delicious. By the end of the EP, RoniCea gets out her wire cutters to dismantle the sharp protective web she has created and is ready to go out into the world again. And you hear her gearing up to do so throughout the release: “no more using me,” she sings on “When You’re Lonely”. “Mess with the wrong one. ‘Bout to tell you what’s up,” she spits with one foot out the door on the glitchy shot “Fine Wine”. This was a brief hibernation.